I want to share my impressions of Baruch’s 17th Annual Teaching and Technology Conference before the sun sets on my memory and the experience dissipates in the afterglow of what was. I had a total blast doing it. I have deep personal ties and many a collaborator and friend at CUNY, so it’s always a ball when they ask me to present. And I’ve been fortunate enough to have been invited more than a few times now. I just can’t see how this pattern can be sustained much longer, especially after this talk 🙂 That said, I’m really honored Luke Waltzer and Baruch’s CIO, Arthur Downing, invited me to do the keynote. On a more logistical tip, I thought he format of this conference worked quite well. There were three time slots for general presentations from 9:30 AM to 10:30 AM, 10:35 AM to 11:35, and finally 11:40 to 12:40 PM. Each of these time slots had three or four concurrent sessions, all of which were full. After that, everyone met in a large conference hall for lunch and the all sorts of edtech wisdom (not necessarily in that order, mind you) from 12:45 to 2:00 PM. In terms of the nature of the sessions, the three talks I went to were excellent. A rarity at any conference. I started the morning with a presentation by Monica Dean and Allison Lehr Samuels about Baruch’s Pop-Up Makerspace. Although to start it wasn’t a presnetation at all, there were two long tables and people sat down at a table filled with circuitry, duplo legos, fabric, and much more. Right off Michael Branson Smith, myself and two other attendees started making stuff. It was amazing how quick a half hour went by without any sense of a presentation, and when they did grab our attention it was to share out what we made and provide a quick frame for Baruch’s Pop-Up Makerspace that we had all just experienced. Start with the demo, indeed. I loved their approach to the presentation, and I had a blast making a shanty house as well as collaborating on a DIY spinning night light that was a very rough prototype. There was also a 3D Printing working tirelessly in the background as we were playing around. I spent a bit of time at the beginning of the second time slot for sessions getting the AV and streaming requirments for my presentation worked out. I’d like to take a quick moment to note that the technical support on the ground at Baruch making sure everything went seamlessly was the best I’ve ever worked with in the eight years I’ve be doing the conference rodeo. The were professionals through and through, and that makes all the difference. They recorded the talk and there should be an archived video of the keynote at some point soon. I have no doubt it will be excellent. Anyway, after that I caught the last half of the “Publishing with Blogs@Baruch” session featuring two students, Albert Mathew and Arvien Siswanto, who gave a brilliant talk about the blogging they do for the Weissman Center for International Business. I was really struck with what poised, yet passionate, presenters they were, it was quite the showing. Following them, the chair of Baruch’s Jounralism department, Josh Mills, discussed the award winning magazine on Blogs @Baruch Dollars and Sense. This magazine published students’ local reportage on topics such as homelessness, Hurricane Sandy, Food Stamp cuts, etc. The session struck me how much I’ve taken for granted how much amazing work is happening on Blogs@Baruch as a matter of course. The power of blogging never did go mainstream in highered, but the few of us who’ve pushed it to the limit have created some bonafide magic. Between the pop-up makerspace, state of the art publishing platforms, and the video assessment tool Vocat ( a presentation I didn’t attend), the work folks like Luke Waltzer, Tom Harbison, Suzanne Epstein, and Mikhail Gershovich have done over the last ten years has truly had a deep impact on the teaching and learning culture of Baruch. This conference was testament of that for me, and I’m sure for them too. Also, Luke Waltzer and Kate O’Donoghue presented their own findings of a survey they conducted about student preceptiosn of online learning at Baruch College which was very telling. I’d write about it here, but I’m not going to because Luke needs to freaking blog in his new role. As soon as CUNY makes him a director he’s already complaining about time, writing, etc. And he didn’t blog nearly enough already. Three words: deal with it. Two more: just blog. There are no excuses if you’re gonna preach open, you need to lead the way and set the example. Share these awesome stories regualrly, promote your faculty and students, carve out the time—it’s the most important work we do. 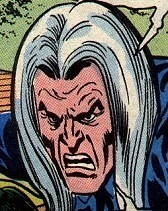 Have you learned nothing from the bava, you Michigan hippie?! I kid because I love, but also because his voice is way too important to remain quiet. Finally, the keynote. It was a bit meandering and indulgent, I’ll admit that upfront. This was the third version in as many weeks of the “Domains in the Afterglow” talk I’ve been working on. It started in its curren concept at the Digital Media Learnign Conference and was further tweaked for Mary Washicon. I say indulgent and meandering ebcause I spent an inordinate amount of time on the early web space stuff, tilde spaces, Geocities and the cultural history because I am so drawn to it right now. I should have gotten to UMW Domains sooner. Truth be told, I could’ve cut the history section down by half. That said, I warned Luke I might be a bit indulgent, and I was using the opportunity to try and get a rhythm around it. 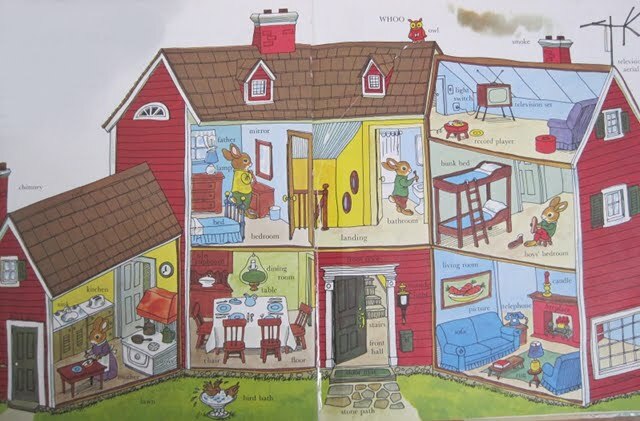 Also, I think I need to shorten and change-up the Domains/house/Richard Scarry analogy. While I love it, Michael Branson Smith gave me a better approach, and I’m going to run with it. I’ll be presenting this talk again for the Sloan-C Emerging Technologies Conference in Dallas in less than ten days, and again at the end of the month in Atlanta for Emory University’s Domain Incubator. I’m having fun with thus far, and I’m hoping to have it nailed for Atlanta because I’m putting this one to bed after that. Before I throw the slides at you. While the presentation still needs work, I want to thank the CUNY folks in the audience for putting forth an encouraging front even if they it was tiresome. In fact, the Question and Answer portion of this talk was extraordinary. I’m not sure how long it went on for, but it seemed to be as long as, if not longer. than the talk itself. And I am not ashamed to admit much better. The questions were great and I felt like on some level I’d connected with at least a few people. That’s what I’m doing this for in the end, and I really do want to believe some of the ideas I’m sharing frame an ethos of liberating our imagiantion of edtech from rigid, soul sucking systems. Alternatively, the open web as platform for teaching and learning. For me Baruch is a shining example that communities of people can make a real dent in institutional culture. I’ll end on a personal bavalove note. I really missed hanging with Mikhail Gershovich while up in NYC this go around. He’s my Russian connection, and I sorely missed him yesterday. That said, it was awesome to see so much of the great work he helped set in motion continue to gain momentum! This entry was posted in Domain of One's Own, presentations and tagged Baruch, domain of one's own, Luke Waltzer, presentation, presentations, umwdomains. Bookmark the permalink. Communication tools don’t get social interesting until they get technologically boring. The invention of a tool doesn’t create change; it has to have been around long enough that most of society is using it. It’s when a technology becomes normal, then ubiquitous, and finally so pervasive as to be invisible, that the really profound changes happen, and for young people today, our new social tools have passed normal and are heading to ubiquitous, and invisible is coming. Really, in NYC and not a move to your homeland of Long Island? We are on the verge of crazy goodness out here … I am starting to feel jilted. I want your voice here at SBU!